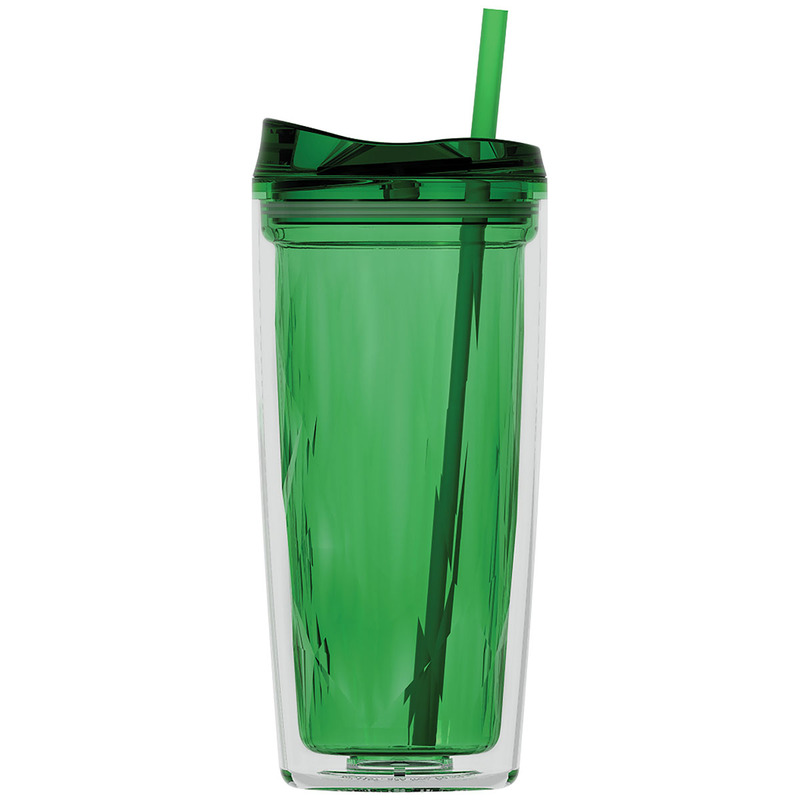 16 oz double wall acrylic tumbler with colored geometric inner liner and push-on dual purpose swivel lid. Hand wash recommended, do not microwave. Imprint Area: 3" x 4.25"